In the dark the Villamayor stone of the monuments shines more brightly. Make the most of this by taking a night-time tour around the illuminated buildings. 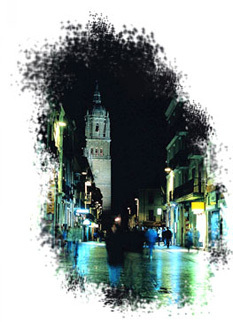 There is an atmosphere to suit any taste in Salamanca at night, which enjoys a great reputation. 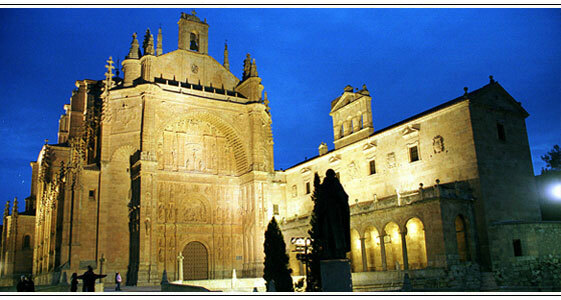 Salamanca has more than 2000 bars, where you can find any style of music and urban tribe. It’s worth going on an excursion to admire the unique, meticulous decor of bars, discos and clubs. Legendary locations around Plaza San Justo, where British and American music is generally to be heard. This is the most “alternative” spot. The prevailing look is a mixture of grunge and hippie revival, with some skater touches. All types of bars and discos, with a very varied atmosphere and an average age of around 25-30. Very varied decor, live music available. A multicultural, international atmosphere, with a mixture of students, foreigners, tourists and Salamancans. Salamanca has legendary pubs offering a wide range of cultural events all year round, from exhibitions and live music to storytellers, plays and magic shows. There are also gay bars, cafes for gatherings and terraces with Internet connections.